Avon Grove School District values the impact that our community has on our schools various partnerships and initiatives. This Community page was created to provide information to our community on various partnership opportunities and to keep the community updated with ongoing information about our District. These organizations facilitate communication within the school community, develop events, provide advocacy and serve as a link between parents and administration. For more information on any of these parent organizations, visit our Parents page. During the 2018-2019 school year the Avon Grove School District, in conjunction with the Jennersville YMCA, the Chester County Intermediate Unit, the Crime Victims Center of Chester County and the PA State police, will present its second year of our FREE parent speaker series. This year's series will address many topics, including student safety and security. For more information, visit our Parent Speaker Series page. Building cohesion by connecting the community with classrooms. 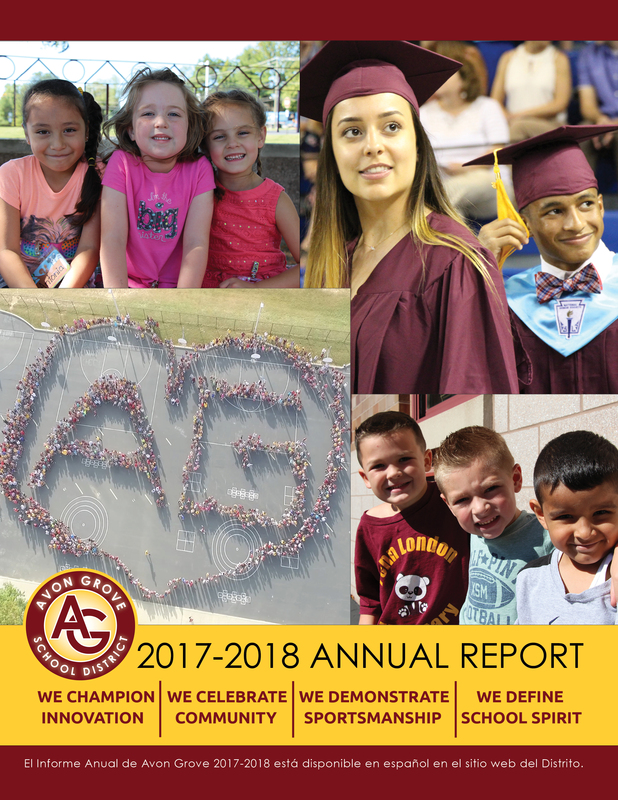 For more information, visit the Avon Grove Education Foundation website. Avon Grove residents who are 60+ years old and pay school taxes are invited to participate in a volunteer program through Avon Grove School District. This program allows for a maximum of 50 hours of volunteers opportunities at $10.00 per hour credit. Participants will receive a check in July or August for the services rendered for the year, not to exceed $500. Learn more about this program on the Senior Citizen Volunteer Tax Relief Program page. The Avon Grove Gold Card program is one way that Avon Grove School District recognizes and honors senior citizen members of the school community. The program provides an opportunity for senior citizens to attend District events such as plays, concerts and regular season athletic events, at no cost. All residents of the Avon Grove School District who are at least 60 years of age are eligible for membership in the Avon Grove Gold Card program. For more information, visit our Avon Grove Gold Card page. Avon Grove School District is grateful for supporting education and school facilities. We respectfully request your cooperation in maintaining a safe, clean and positive environment in our buildings. For guidelines to reserve an Avon Grove facility, visit our Buildings and Grounds page. The Avon Grove School District values and encourages our parents and community members to volunteer in our schools. We believe that volunteers make a valuable and unique contribution to our faculty, staff and students. For more information, visit our Volunteer page.